From new rules on the road to e-cigarette sales, several new laws and amendments take effect in Ontario when the New Year begins. Toronto.CTVNews.ca takes a look at the changes coming to Canada's most populous province starting Jan. 1. 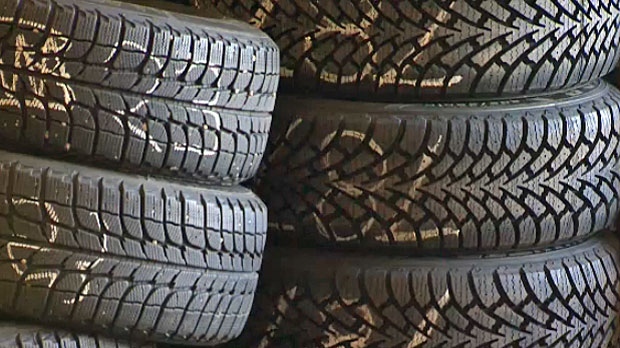 Starting Jan. 1, all private insurance companies must offer discounts to those who buy and install winter tires. Drivers are reminded to look for tires marked the peaked mountain and snowflake logo, and install the tires on all four wheels. When approaching crossovers and school crossings, drivers will now have to yield the entire road to pedestrians. Previously, drivers were permitted to pass as long as the pedestrians weren't in the vehicle's path. As of 2016, motorists have to wait until pedestrians have completely crossed the road before proceeding. The Ontario government is launching a pilot project to allow for the testing of automated vehicles. Starting on Jan. 1, driverless or self-driving vehicles will be permitted along provincial roads including highways. Landlords will be permitted to increase rent across Ontario by a maximum of 2.0 per cent. The rate increase is applicable to lease agreements signed between Jan. 1 and Dec. 31, 2016. The guideline is set annually, based on the Ontario Consumer Price Index. The provincial licensing requirements for propane transfer facilities will be updated on Jan. 1 to "strengthen propane safety and minimize the burden on Ontario businesses." Small businesses will now have to carry insurance of at least $1 million, while medium and large facilities must have insurance of at least $5 million. Ontario's Liberal government planned to ban vaping and the use of e-cigarettes in public places on Jan. 1, but announced that the ban would be delayed. The ban on selling e-cigarettes to minors under 19 will go into effect in January, but the regulation limiting where adults can use them will be put off until later in the year. The government has yet to provide a specific date.